The Ancient Egyptians held education in high regard. However, there were only a limited number of schools which were attended by royalty and the wealthy or those whose careers would be that of a scribe or a priest. These schools were only attended by boys. The ordinary people were educated at home. Girls were given education by their mothers, which was dictated by the tasks of their particular social standing. Men were educated by other men and it was common place for a father to teach his profession to his son. The main roles of Egyptian women were to nurture and serve. Their mothers would teach them the fundamentals of housekeeping, cooking, brewing and making clothes. Women were excluded from the ruling bureaucracy so were not eligible to work as scribes. Women were also excluded from the temple elite. Egyptian women were allowed to farm land, sell land and produce produce which they could sell and would therefore have received some education in these areas, if appropriate to their status. The scribe schools were attended by boys and their age of entry was between 8 and 9 years of age. Schoolboys lived at home and attended schools on a daily basis. The schools were usually attached to government buildings and temples and the teachers were men who were experienced in government such as scribes and temple priests. The school day started education in the morning with a break at midday which was followed by a siesta during the heat of the day after which lessons would continue through the late afternoon. 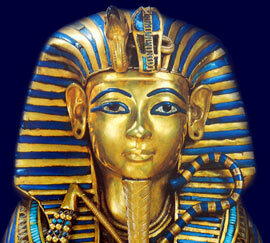 The Prince's School was the most respected of all of the schools and gave the very best Ancient Egyptian education. The Prince's School would have educated the sons of the Pharaoh, members of the royal family, nobles and high officials. There was also a scheme which allowed recommendations when young boys who showed great promise were also allowed in the Prince's school. The Vizier had overall control of the Prince's school and therefore the education of the next Pharaoh, nobles and court officials. Any misdemeanours were treated seriously and punishments for pupils ranged from beatings to writing out lines and even being placed in the stocks! The Ancient Egyptian Education included the use of the Books of Instruction which contained rules for living a well ordered life. The Books of Instruction also included elements of morality such as justice, wisdom, obedience, humanity and restraint.